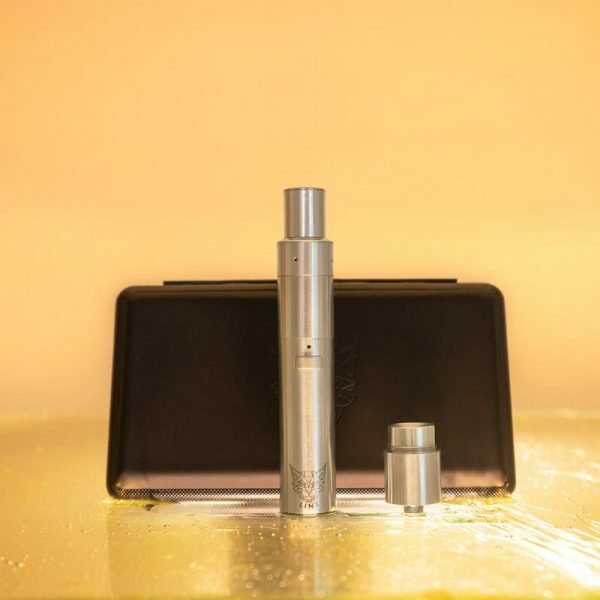 The Linx Blaze Concentrate Pen released in early 2019 by Linx Vapor has arrived at the Shore! We gave it a good run and want to share our thoughts. When you open up the nice carrying case, the first thing that you notice is the quality that is typical of Linx. All of the included parts fit perfectly in the formed interior of the case making a good first impression. 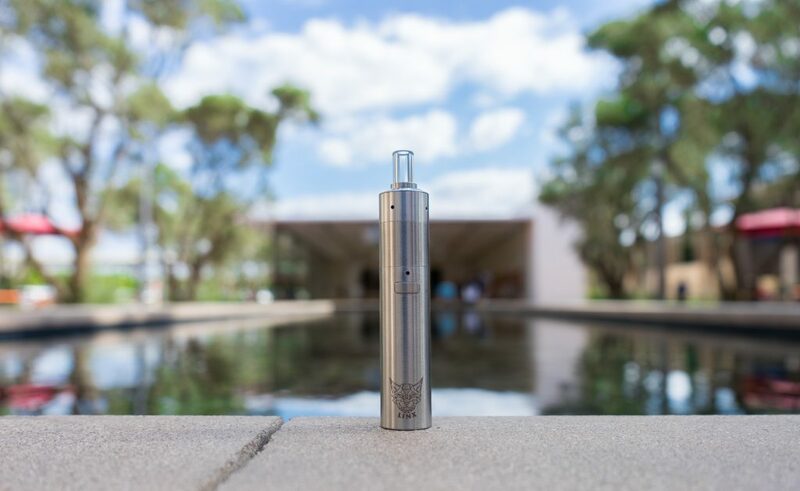 Like all the Linx products, the Blaze is an extremely high quality looking and feeling device. It feels great in your hand with descent weight and super precise machining. It’s bigger than the Hypnos Zero, but is still a great size for travel, easily fitting in you pocket. Even if you take the whole case with you, it is still quite manageable. The entire unit is constructed of brushed, surgical-grade stainless steel, and the quality of the machining is unparalleled; when the battery and oven are screwed together, the seam between the two parts is virtually invisible because the parts fit together so perfectly. This unit has the Linx logo laser-etched, subtly, near the base of the unit. There are three parts of the Blaze that screw together: The battery, the oven/ atomizer and the two-part mouthpiece. The mouthpiece is glass -in favor of metal or plastic-to leave the flavour of your best concentrates unadulterated. The only thing I didn’t like about the case is that the Dab tool storage position is lined with a felt-like material or flocking. I think that the little “hairs” of the flocking will stick to the used tool, subsequently contaminating the oven. I used a tiny piece of wax paper to protect the end of the tool before I put it back in the case so that can’t happen. Not a big deal…but just a thing. The Linx Blaze has a good sized battery at 900 mAh, that lasts a good long time, but it does take 2-3 hours to fully charge. I’ve been passing it around most of the day and still had battery life left when I was done. The Blaze isn’t a charge-though device, so if you are thinking about a camping trip or journey where you may not have time to charge between uses, you may want to pick up a spare battery. But if you are able to plug it in at bedtime, you should be good to go! I just plug mine into my laptop overnight and in the morning it is all set. The Linx Blaze improved the charging system over the Hypnos Zero. Instead of a 510/ USB cable which can be harder to find, the Blaze comes with a standard micro USB cable, so any cable will do the trick in a bind. I really like this universality over the specialized connections. Using the Blaze is easy. .
To turn it on, just press the single operating button 5 times quickly and the button will flash white 5 times indicating it is ready for use. To shut it off, click another 5 times and the button will flash white 5 times again, indicating that it has shut down. The Linx Blaze (apart from the Hypnos Zero) is one of the few concentrate pens to have this kind flexibility of temperature control. To cycle through them, just press the button quickly three times. At the lower temperatures I was getting beautiful, pure flavor, and at the top setting, really nice rich clouds. I like the yellow setting. Linx gives you two atomizers with the Blaze. 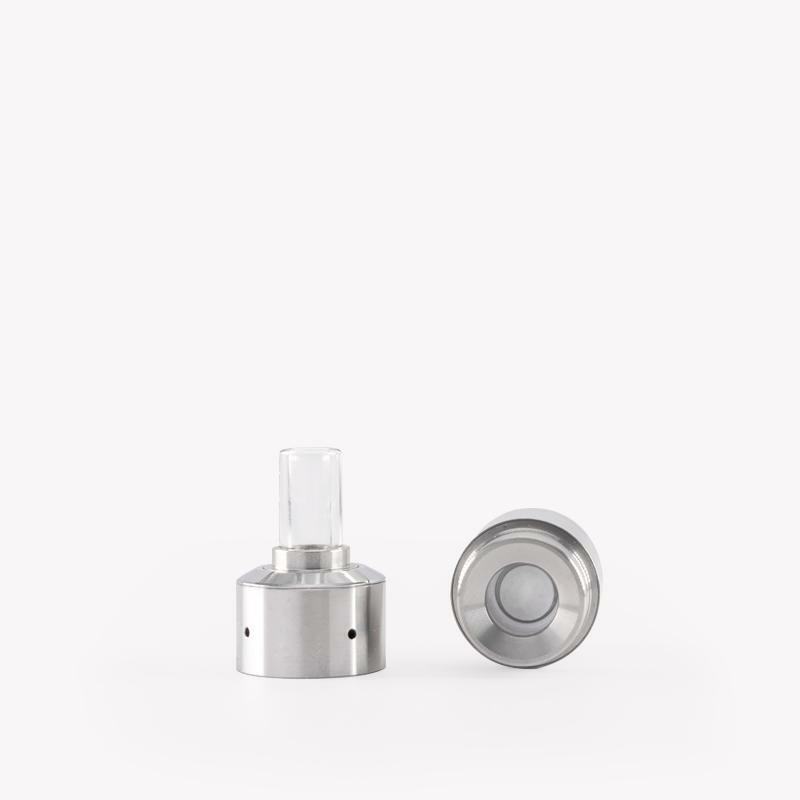 The ACE atomizer is Linx’s latest development (patent pending) having a coil that is recessed in a little well, with a quartz cover over the top. The result is that the coil is better protected so that it will last longer, and because of the location of the coil in the little well, you make better use of your concentrate. With traditional atomizers, the liquefied concentrate drains to a point below the coils and goes to waste, never really getting hot enough. 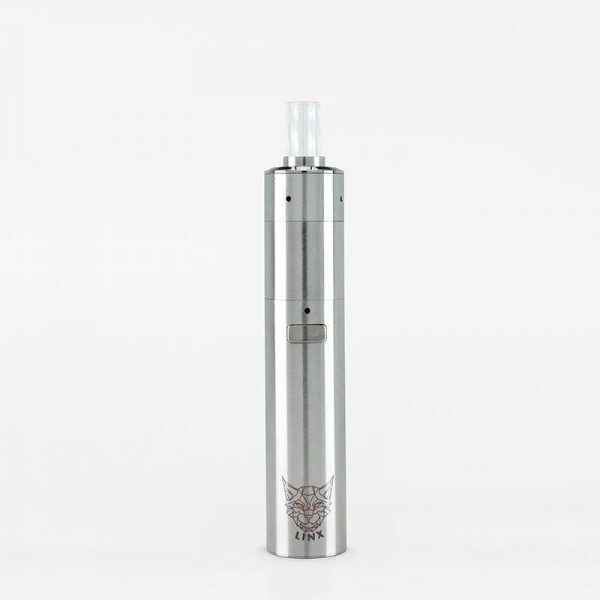 With the Ace atomizer, the liquefied concentrate falls into the well, staying in close contact to the coil so it gets all used up. The vapour production with the Ace was great. Not too hot, and the cloud was sufficiently dense. I liked it. 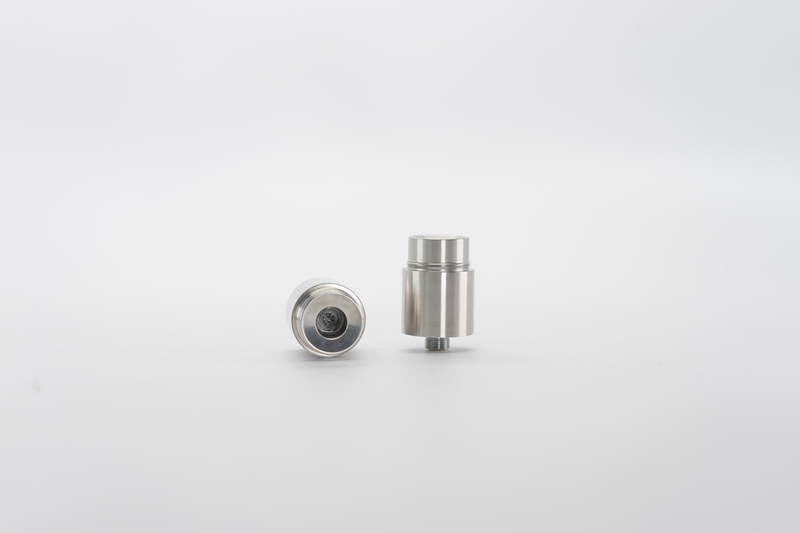 The Zero, or ceramic atomizer has no exposure to the heating element at all, so the concentrate never touches anything but the ceramic interior of the oven. It is very similar to the chamber of the Hypnos Zero, except that it is a lot bigger and therefore easier to load. Like the Hypnos Zero, the flavor from the Blaze Zero atomizer was excellent. The bottom line is that the Linx Blaze Concentrate Pen is a a great pen. At the price point, it’s probably not the first pen you’ll buy but it sure does work great. I love it, and have added it to my personal arsenal.